Containing pectin, adenine, choline, vitamins B1 and A, etc., Maintaining normal blood sugar and blood fat level, urine sugar level and facilitating easy bowel movement. Sugar Controller Herb Tea (Blood Cleansing Herb Tea) is made of morus (mulberry leaf) with nice natural flavor. Containing pectin, adenine, choline, vitamins B1 and A, etc., morus is used in Chinese medicine for maintaining normal blood sugar and blood fat level, urine sugar level and facilitating easy bowel movement. 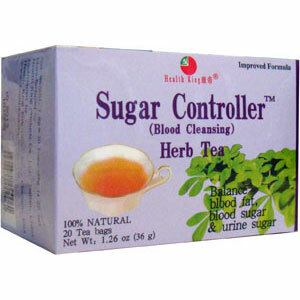 Maintaining normal blood sugar and blood fat level, urine sugar level and facilitating easy bowel movement.